Reared on a farm outside of Amarillo, in the Texas Panhandle, David has been involved in agricultural since early age. A Bachelor of Science degree from Texas Tech University in Animal Science-Beef Cattle Production enhanced a practical working knowledge of farming and ranching. After a year’s stint as a market analyst with Texas Cattle Feeder’s Association, David worked for a publicly held cattle feeding operation for four years before jumping into the futures business in 1976. Initially moving to Chicago, David worked for Lincoln Commodities and wrote the cattle segment of their commodity letter. 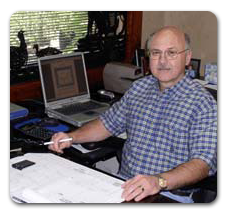 In 1978, David moved from Chicago to Dumas, Texas, opening a commodity office for REFCO, Inc. It was here that he started his own brand of analysis published as the Cactus Commodities Market Letter. In 1989, he started a new weekly market letter titled Hales Cattle Letter which is still be published today. Wage and price controls in the early 1970’s, $80 cattle in 1979, 20%+ interest rates in the 1980’s, and the stock market crash in 1987 were real life learning experiences for David, not text book studies for an MBA. Carcinogen scares, hoof and mouth disease, and BSE in 2003 were challenges that had to be overcome during the last 40 years of trading cattle futures. In June of 2005, David closed his Rosenthal Collins Group offfice and joined long time friends at Tejas Trading Co. which is an introducing broker for R. J. O’Brien out of Chicago. Having been involved in all segments of the cattle and commodity business while living in Texas, Colorado, and Illinois, David developed a wide-ranging circle of contacts that has proved invaluable in gathering market information on a daily basis. Although he specializes primarily in the market analysis of fed cattle and cattle futures trading, he actively trades all agricultural and energy markets.